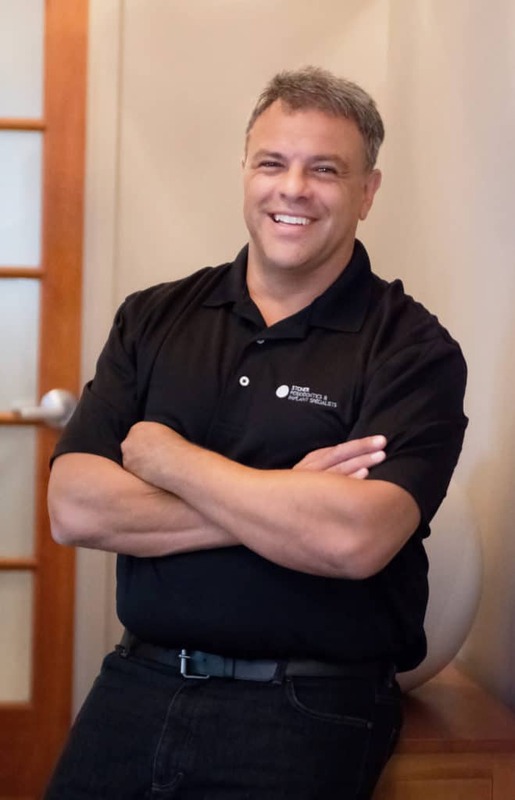 Dr. Jason C. Stoner is a Board-Certified Periodontist and Implantologist accredited by the American Board of Periodontology and Dental Implantology, and is located in Columbus, Ohio. Dr. Stoner attended The Ohio State University and received a Bachelor of Arts Degree in Military History in 1993. Dr. Stoner immediately entered The Ohio State University College of Dentistry where he received his D.D.S. Degree in 1997 and began research in cancer identification and treatment. Dr. Stoner furthered his training and received his Certificate in Periodontology at The Ohio State University College of Dentistry Section of Periodontology’s three-year Residency Training Program, a specialty devoted to expertise in dental implantology and periodontology therapeutics. Simultaneous to his residency training, Dr. Stoner completed a Master’s Degree in Oral Surgery, Oral Pathology and Oral Medicine for his continued research in the field of medicinal cancer therapy for which he was awarded a scholarship twice. This intensive research program focused on the utilization of thalidomide for the treatment of Kaposi’s sarcoma, and resulted in awards for two years consecutively by the American Cancer Society where he achieved Fellowship status-a distinguished honor reserved for only two people per year between dental, medical, Ph.D. and Master’s students and pharmacists. 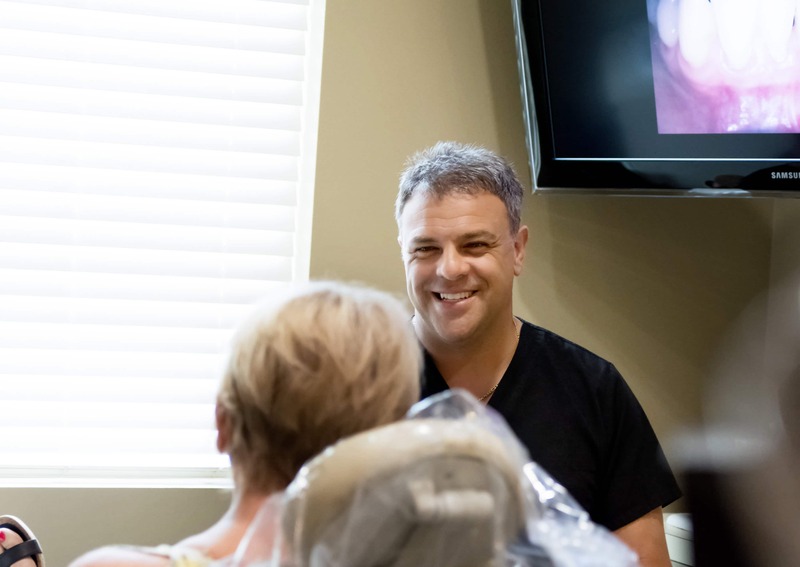 Following the completion of post-doctoral residency and graduate training in 2000, Dr. Stoner entered a one-year associateship in Charlotte, North Carolina and Rock Hill, South Carolina for training in esthetics and periodontal plastic and dental implant surgeries. Following completion of the associateship, Dr. Stoner returned to Dublin, Ohio in 2001 and opened his first office limited to periodontics and dental implant surgery. Dr. Stoner’s success and recognition has allowed for him to open offices in New Albany, Springfield, Grove City and Chillicothe locations as well, to better serve the communities that seek the most comprehensive and experienced care available in the most technologically-advanced settings possible. Throughout his career Dr. Stoner is a highly-regarded authority and mentor to periodontists in and around Central Ohio, having provided associateships focused on advanced esthetic periodontal and dental implant surgery, business administration, community action and awareness, and case planning. Dr. Stoner provides periodontal, oral surgery and general practices with exposure in these concepts with routine visits from practices throughout the country. Numerous local and regional private periodontal practice owners have receive comprehensive training through direct associateships under Dr. Stoner. In addition, Dr. Stoner founded and has been Director of Sfumato Dental Study Club, an affiliate of Seattle Study Clubs, the academic association of dentists concentrated on setting an advanced standard of care in comprehensive care and training for dentists, physicians, hygienists and other health care professionals of all fields for integrative, seamless care for patients since 2005. Dr. Stoner has been a director and/or sought-after lecturer for a variety of other study clubs throughout the world in advanced periodontal therapies and concepts, esthetic surgery, dental implant surgery and application, laser therapies in dentistry, business administration and concepts, patient experience and psychology, and medical and dental technologies for years. Dr. Stoner has written four books as guides to patients to make well-educated, well-informed decisions on their care which inevitably has a very important role in their long-term oral and systemic health. Dr. Stoner is a pioneer in bone therapies utilized around the world today, and brought much of the technology for periodontal and dental implant surgeries to Central Ohio such as Cone Beam Computed Tomography, Plasma Rich in Growth Factors, collagen-based allografting, LASERs and Botox therapies. Dentists, dentists’ family members, medical professionals and staff/team members of dental and medical offices throughout Ohio make Dr. Stoner and his established team their first choice when seeking advanced periodontal and dental implant care.